A glorious book of myths and wonders. What if you didn’t have to go to the zoo to see lions and bears? Well – you don’t! 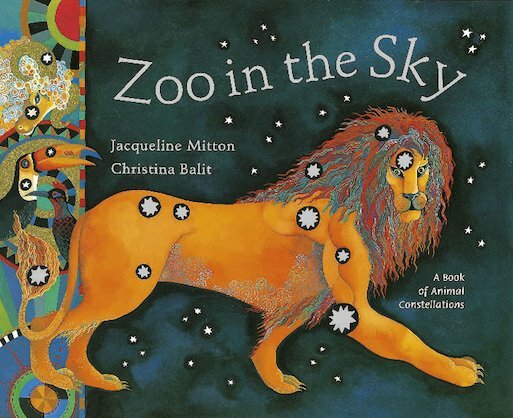 Just look at the night sky – a zooful of animals is hidden up there. The stars are like a huge picture puzzle, tracing out the shapes of great immortal beasts. Now this book shows you how to see them in their mighty power. Learn where stars come from. Explore star maps of the constellations. Then read ancient stories about the zoo in the sky. Tales of dragons, scorpions, birds and fishes, mighty bulls and great bears – all with Christina Balit’s magical artwork. A must for stargazers young and old.